How have South Asians been getting involved in the 2008 elections? How have the ways that South Asians been involved in the civic and political process changed or evolved? What kind of voter turnout can we expect from the South Asian community on Election Day? What’s at stake for South Asians in this election? 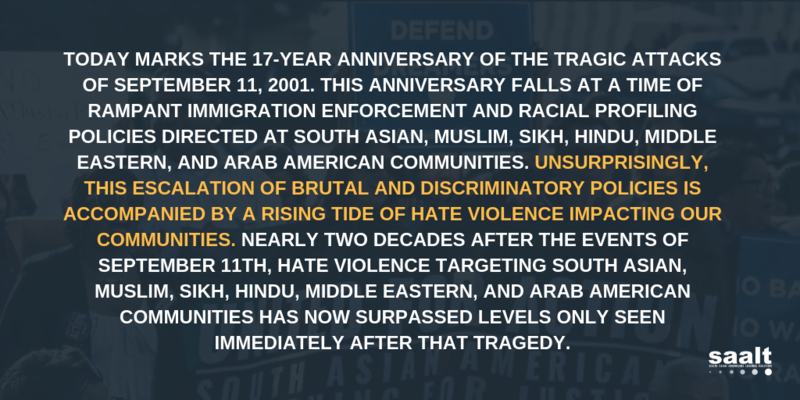 Hear the answers to these questions and more in “South Asians in the 2008 elections,” SAALT’s pre-election webinar. We were joined by Vijay Prashad (Trinity College Professor of International Studies and the author of Karma of Brown Folk among other works), Karthick Ramakrishnan (one of the main collaborators in the National Asian American Survey), Seema Agnani (Executive Director of Chhaya CDC, a community development nonprofit based in Queens, New York), Ali Najmi (Co-founder of Desis Vote in New York) and Aparna Sharma and Tina Bhaga Yokota (Members of South Asian Progressive Action Collective in Chicago). The full video of the webinar is here<http://www.saalt.org/categories/South-Asians-in-the-2008-Elections-Online-Webinar-/>. Stay tuned for SAALT’s post-election webinar, during which guests will dissect the election results, report the findings of multilingual exit polling and look forward to the transition to the new Adminstration and Congress.